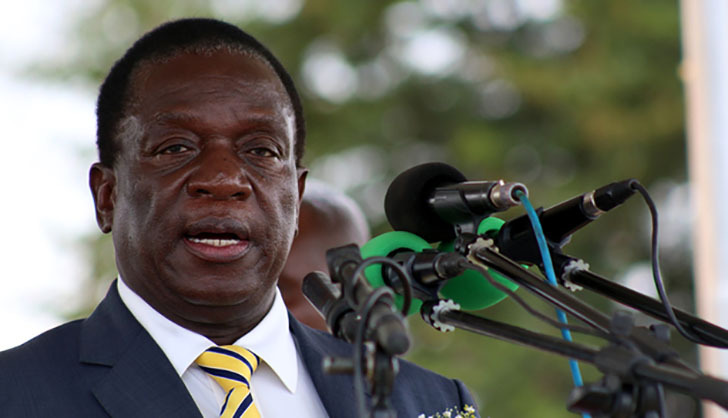 WHILE President Emmerson Mnangagwa, pictured, is using every platform to denounce targeted sanctions imposed on Zimbabwe by the United States and the European Union (EU), analysts contend he must do what is required to have them lifted. They say Harare's re-engagement with the international community must be predicated on behaviour consistent with international standards. Election Resource Centre director Tawanda Chimhini said it was puzzling to understand why Zimbabwe is not acting on the conditions that invited the sanctions. He said while the solidarity shared by the region, especially South Africa, is comforting to Mnangagwa's administration, the posturing does not really reflect what happens behind closed doors. "Zimbabwe needs more than just solidarity against imposed measures. Zimbabwe needs assistance in addressing what is inviting the restrictive measures," said Chimhini. "If you are sanctioned for trampling on the rights of citizens, if you have a tempestuous and torn human rights record, you must simply mend your ways," opined the MDC's communications director Luke Tamborinyoka. He said Zimbabwe invited the latest round of sanctions upon itself by callously shooting and killing its own citizens in cold blood on August 1, 2018 and in January this year. In both incidents, the Zimbabwe Human Rights Commission and the Kgalema Motlanthe Commission, which Mnangagwa himself personally appointed, held the army and the police as responsible for the brutal murders. Political analyst Mcdonald Lewanika believes the route to the removal of sanctions is a clear one paved with respect. He said government must uphold and respect the rule of law, respect of people's rights especially to association, information and protest, and respect the people's will at elections. "These are things that are well within the province of the government of Zimbabwe. Unfortunately without them, there is no amount of pressure or solidarity from other Sadc countries that can change this situation," said Lewanika. Mnangagwa is accused of doing very little to compel the Americans and the EU to remove the sanctions since seizing power in November 2017. If anything, the way his administration has handled protests, marginalised the opposition and conducted its politics is seen encouraging more restrictive measures. Political analyst Piers Pigou said while resolution of this issue is possible, it must go beyond the current posturing. Some even argue that the ruling Zanu-PF government has no capacity to advocate for the removal of sanctions. Political analyst Maxwell Saungweme said Zimbabwe has two types of sanctions — internal and external — whereupon the internal sanctions feed into the external sanctions and the latter feed into the former. "For sanctions to be removed, Zanu-PF has to remove internal sanctions they imposed on Zimbabweans — corruption, human rights abuses, enforced disappearances, bad governance, militarisation of the State etc. Once these are removed, then external sanctions will also go away. So as long as internal sanctions are there, the external ones remain intact." He argued that both types of sanctions do not affect Mnangagwa and other elite politicians, but the ordinary people who are killed and maimed through State-sponsored repression — a form of internal sanctions — and at the same suffer from the economic effects of both external and internal sanctions. Saungweme said even if the Americans and the EU were to remove sanctions today, which he advocates for, Zimbabweans will still suffer from internal sanctions as a result of Zanu-PF misrule. "It's only a new government that will be able to respect people's rights and will be able to remove both internal and external sanctions Zimbabwe is suffering from. "These talks by (South African President Cyril) Ramaphosa and others remain political banter and claptrap," said Saungweme. Lawyer and politician Obert Gutu concurred that sanctions punish ordinary Zimbabweans and not the ruling elite. He said the measures have brought about untold suffering and serious collateral damage to millions of innocent Zimbabweans as well as businesspeople who can't access funding from the West. "It is very refreshing to note that Ramaphosa has come out very clearly and unequivocally calling for the removal of these sanctions. "You will realise that the very same sanctions hardened and radicalised former president Robert Mugabe into becoming a rabid dictator and despot who routinely clamped down on the people's fundamental human rights and liberties," said Gutu. Social analyst Rashweat Mukundu said those calling for the lifting of sanctions must meet the conditions that include repealing undemocratic laws, and ending human rights violations. Social analyst Lenox Mhlanga could only say: "People will always find it rather puzzling why government is skirting around meeting the conditions for the lifting of sanctions. "Is it that difficult or just a lack of political will to do so? Sometimes in diplomacy, giving in is a sign of pragmatism and not that of defeat."